Despite its portrayal as a bold departure, the Bush Doctrine was not the "new" or "revolutionary" policy instrument that many at the time portended. This work seeks to argue that while it was clear that the Bush Doctrine certainly qualified as a preventive war policy, it is apparent that the adoption of this strategy did not mark a total break with American tradition or earlier Administrations. Warren seeks to dispel arguments pertaining to the supposed "radical" nature of the Bush Doctrine - based on comparisons with previous National Security Strategies and previous Administrations' penchant for prevention. 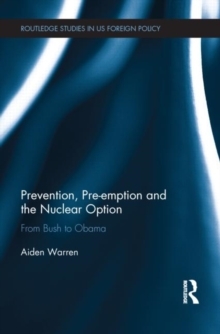 However, the work also highlights that what was new and bold about the Bush Administration's National Security Strategy of 2002, was its willingness to embrace reinvigorating a nuclear option that could ultimately be used in the context of preventive war. While Obama has struck bold rhetorical notes and promises in relation to limiting the role of nuclear weapons, he has stopped short of changing the status quo on critical issues that have lingered since the Cold War - such as tactical nuclear weapons and keeping missiles on alert. 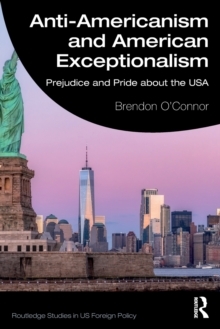 This book's final section examines the extent to which Obama has attempted to `adjust' the nuclear option with the recent release of the congressionally mandated Nuclear Posture Review (NPR). Offering new insights into the Bush doctrine and providing a comprehensive analysis of the current status of the US nuclear weapons strategy, this volume will be of great interest to scholars and students of American foreign policy, security studies and international relations.